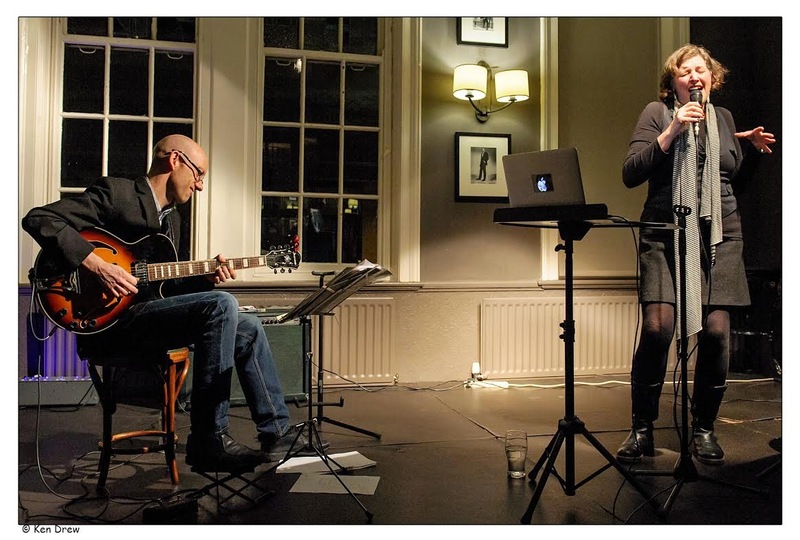 Gabriele Heller (voice & electronics) & Steve Glendinning (guitar). Arriving near the end of the first set (delayed train from Darlington), this is, effectively, a brief review of Heller and Glendinning’s second set. Ascending the stairs with a tip-top pint of Schiehallion, Ms Heller could be heard on stage in blues to bossa mode (guitarist Glendinning seated, fleetingly recalling Joe Pass). Honey Bee (a sailing blues said Heller) wailed Sail on, sail on my little Honey Bee, sail on, Hmmm. Excellent blues feel. The audience? “Select” isn’t the word. Downstairs one lone drinker propped up the bar (a quiet night at the Bridge), upstairs he (the lone drinker below) was outnumbered, but only just. Interval chatter about cameras (landscape or portrait, camera phones etc) with house photographer Ken Drew. Heller opened the second set with Queen. Hmmm. 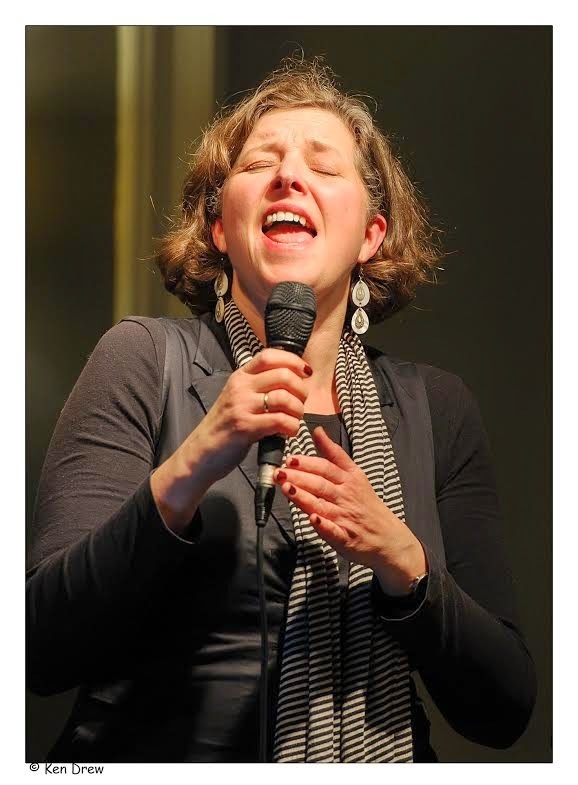 Nature Boy (another ubiquitous tune), then an original piece – True Love – and Weill’s Speak Low (Heller’s milleu) heard GH at her best with an intriguing and highly effective use of two walkie-talkies. 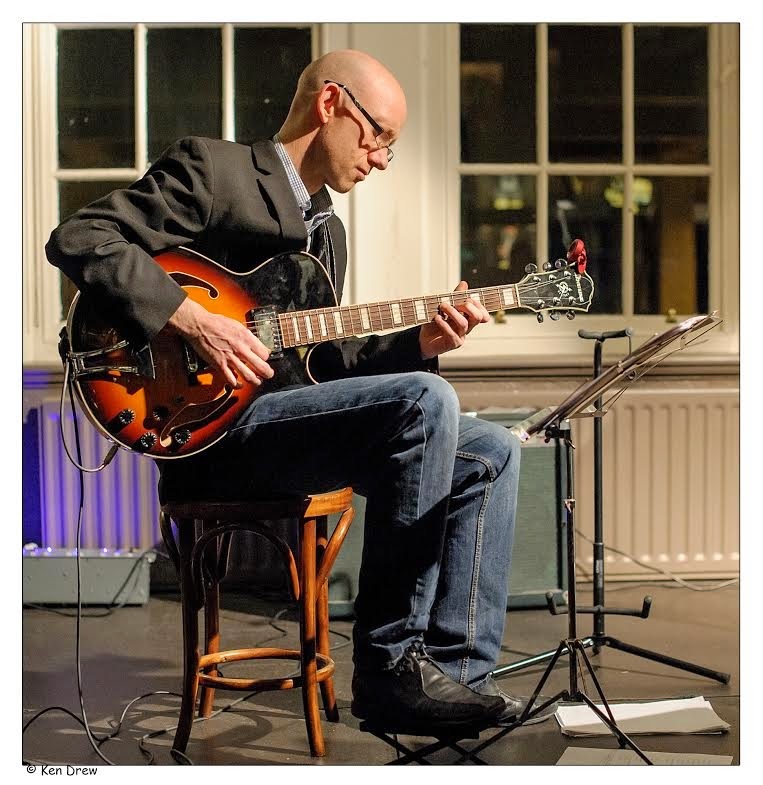 Glendinning’s jazz guitar credentials acted as an effective counterpoint to Heller’s committed agit-prop approach, exposing the political undertones in tunes written and/or performed by Billie Holiday, Kurt Weill and others. Diachronicx was a Splinter at the Bridge promotion. Note to Tyneside jazz fans…Sunday night, Bridge Hotel, eight o’clock. Be honest, what was on the telly last night? Nothing is a good guess.